The Sisters of Mercy established the standard of educating the whole person through a nurturing Christian environment and high academic standards in 1882. Today, Mercy High School is a four year college preparatory co-educational school which continues that tradition. Mercy high school, a Catholic diocesan, college preparatory school is committed to the development of the whole person, empowering our graduates to affect positive change in the world. 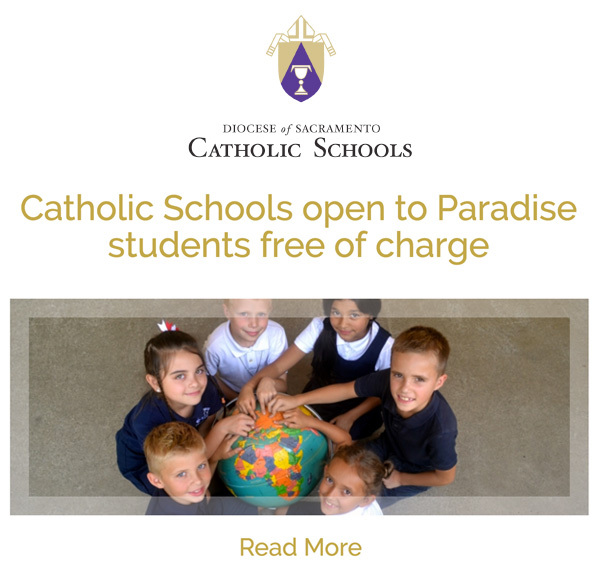 To form students in the Catholic tradition through the pursuit of academic excellence, spiritual growth, personal integrity, and service to others. Sacred Heart is pleased to offer Dual Language Immersion for the 2017-2018 for Transitional Kindergarten, Kindergarten, First Grade and Second Grade (Ages 4, 5, 6, and 7) in English and Spanish. With an elective option in the middle school Fifth through Eighth Grade. 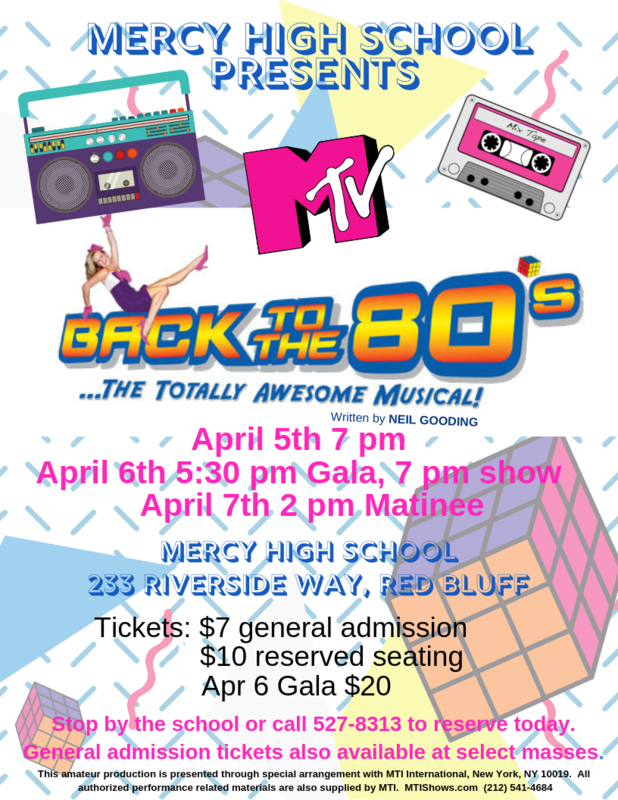 Mercy High's 51st Annual Musical "Back to the 80's"
Mercy High School is accredited through the Western Association of Schools and Colleges (WASC) and the Western Catholic Educational Association (WCEA) through 2019. Please explore the links on this page to learn more about a Mercy education. Welcome to our school.